Bigwala Cultural Group: The coordinator and lead female vocalist is Nabirye Irene. The group are from the village of Bukoona and travelled to the Gately on the Nile Hotel in Jinja for the recording session. The Bigwala is the name of the trumpets they play. “Muwe Bwobona Asaba”: When someone asks you kindly assist them. “Mperekera Omwana Womurembe”: When you are walking with someone by your side they are the special one and you don’t look at anyone else. “Mwene Wamwenda”: When you love someone even if they are poor, lame, sick or blind, you just stay with them. 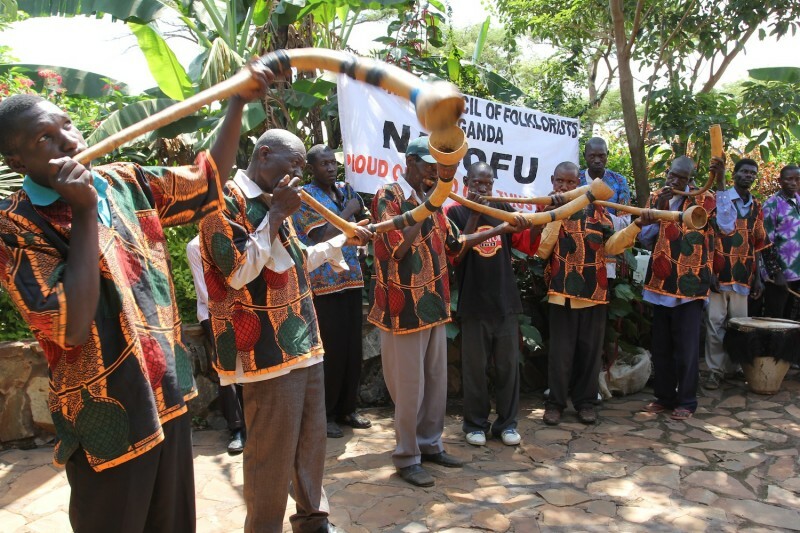 UNESCO: Bigwala, gourd trumpet music and dance of the Busoga Kingdom in Uganda. Inscribed in 2012 on the List of Intangible Cultural Heritage in Need of Urgent Safeguarding. Click here for the link to the UNESCO website.